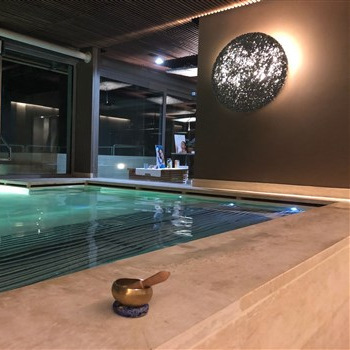 On October 26, 2018 UPMC Institute for Health in collaboration with Terme di Chianciano will host an evening dedicated to mindfulness in the relaxing venue of the Sensory Spa. A perfect meeting between a thermal experience focused on physical and mental well-being, and mindfulness awareness practices. Mindfulness is a discipline that teaches us to bring our attention to current experiences, acknowledge stress triggers, and respond in a more balanced manner by cultivating awareness and acceptance of ourselves, without setting impossible goals and making harsh judgements. Embarking on a mindfulness path involves focusing on the present, and letting go of past problems and future anxieties. Sensory Spa offer the perfect pathway to regeneration, involving the five senses and the five elements all together. Different practices of sensory awareness will be introduced during the event, in order to rediscover our body and promote its care and respect. This is a unique and event, marking the integration between different disciplines sharing the same aim: mental and physical well-being. UPMC Institute for Health Chianciano Terme offers a Mindfulness Stress Based Reduction program.